Murphy’s is “the” party bar on Marquette University’s campus, providing MU students with daily specials and the best deals on campus. Located within a few block from The Rave. 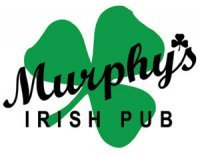 Murphy's is the late-night spot for all Marquette students; whether the night starts at a house party or downtown, stopping at Murphs is always a must before heading home for the night. In addition, Murphy's hosts up and coming student DJs and is the home for students and alumni after all MU men's home basketball games. Recent traditions also include Senior Week celebrations and St. Practice Day….The best unofficial St. Patrick's Day party in Milwaukee. WHAT A PLACE FOR A GREAT TIME! I LOVE this bar! Great scene on Friday and Saturday night or even a few bombs on Wednesday. The crowd is always fun and solid mix of Marquette Students. Not much room to dance - which could be fixed but that has NOT stopped my friends and I before. Karaoke Thursday's are always a good time and I will often be found singing some of my favorite jams. The drinks are good and the bartenders are great and down to have a good time. Overall a great establishment that will forever be in my heart!